In List View, episode titles are often truncated- probably more than half of them on the podcasts I listen to. Moving the publishing date and overflow button down to the next line could make the (otherwise gorgeous) List View a lot cleaner looking. Another way to handle this would be to provide a settings option to not display episode descriptions, making more room for the titles. Keep up the good work! 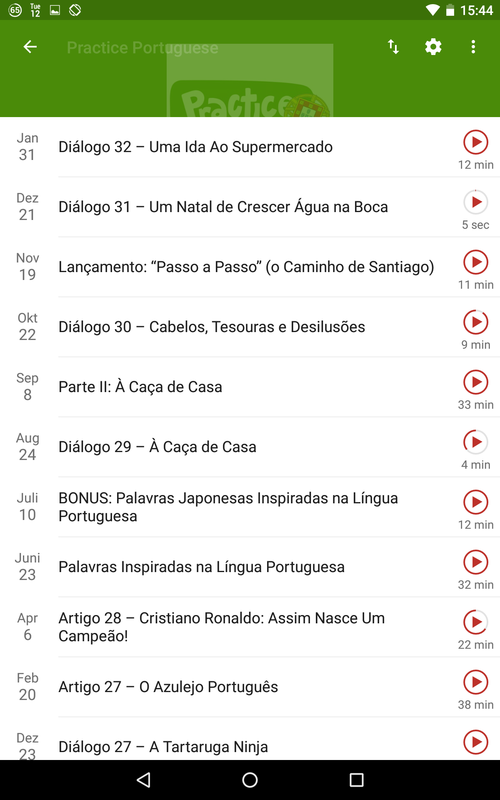 I tried everything on Android and Podcast Addict is the perfect podcast app. Sorry, but what you're describing is not the purpose of this feature request. I'm building this app to make it practical. Yes it will cause the UI to be more cluttered with information compared to other apps, but I'm not focusing on having the cleaner UI. I'm focusing on providing the information and control that makes the app easier to use and makes it more efficient. The app UI will never look like the screenshot you sent. Hiding the episode description would be the first step to provide a cleaner list. Please compare those two layouts: PodcastAddict vs. PocketCast. Guess which one is less cluttered!? Therefore I suggest to provide an option to hide the description in list view completely. I never needed them; normally the title of an episode says enough. Hello, once again thank you for your work. For what I see there are a number of duplicates of this suggestion, which together make something like a hundred votes. Could you tell if it is an option that you are evaluating or if you do not find it useful? This is by far the biggest issue of the app that besides that it it's perfect! I wonder why this request it's so underestimated. Same problem here. I'm listening to several podcasts whose specific topic and episode number is hidden at the end of the general title of the series, making difficult the choice of a specific episode within the list. In portrait mode there's non problem 'cose there's enough room for full title. I have this issue as well. Another possibility would be to have the episode title scroll. Forgot to mention- my reason for suggesting this is that the last words in the episode title are often the most important, and truncated episode titles are often meaningless.